Remarkable 2,662 + 804 Sq.Ft. 4 Bedroom Detached Home With Separate Entrance In-Law Suite Filled With Upgrades And Stunning Fully Fenced Backyard. Large Eat-In Kitchen With Granite Counters, Centre Island And Stainless Steel Appliances. Open Concept In-Law Suite with 5th Bedroom Potential, Kitchen With Centre Island, Spa Like 3 Pc Bathroom and Secondary Staircase From Separate Entrance. Large Master Bedroom With Walk-In Closet And 5 Pc Ensuite. Interlock Driveway And Patio, Hardwood Floors, Gas and Electric Fireplaces, Coffered Ceiling, Crown Moulding, CAC, Central Vacuum, Attached 2 Car Garage, Alarm System and Much More! 3 Bedroom West End Home With Total Of 8 Car Parking, 6 Cars on Driveway & Attached 2 Car Garage With Direct Access To Home. Shingles 2016, Toilets 2015, Washer 2016, Dryer 2015, Laminate Flooring 2014 & Freshly Painted 2017. Eat In Kitchen With Pantry & Walk Out To Backyard. Master Bedroom With Walk-in Closet, Standard Closet And 4 Pc Master Bathroom With Jet Tub. Office Area, 2 Covered Porches With Concrete Pads, Extra Parking On Street, Large Garden Shed, Unfinished Basement with Rough-in Washroom Awaiting Your Finishing Touch, Cold Cellar, Knock Down Ceilings And Much More! 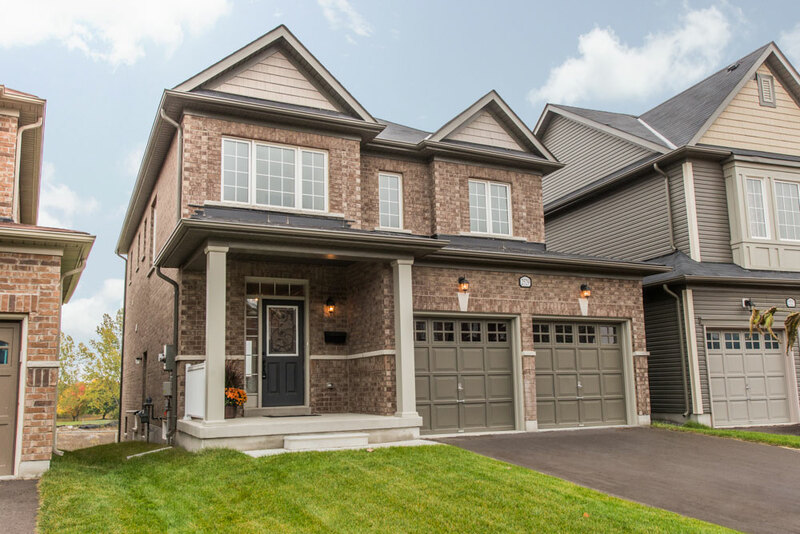 “The Warbler Model” By Lancaster Homes Built in 2015, Stunning 4 Bedroom Detached All Brick Home On Pie Shaped Lot Backing Onto Ravine With Views of A Golf Course, Open Concept Quartz Counter Eat-In Kitchen With Stainless Steel Appliances, Second Floor Laundry And Side Entrance Leading To Basement Providing Future In-Law Suite Potential. CAC And All Appliances Purchased 2016. Master Bedroom With Walk-In His and Her Closets And Spa Like 5 Pc Ensuite Washroom. 3 Other Bedrooms Including One With Ensuite And Walk-in Closet. Unfinished Basement With Rough-In Bathroom Awaiting Your Finishing Touch. Wainscotting, Crown Moulding, Gas Fireplace, Modern Upgraded Lighting, LED Recessed Lighting, 9 Ft. Ceiling, Upgraded 2 Panel Interior Doors, Hardwood Floors, Modern Tile Flooring, Gas BBQ Hook Up and Much More! True Pride Of Ownership In This 3 Bedroom Detached Home Boasting Tons Of Recent Upgrades Including Extended Granite Counter Kitchen With Centre Island, Updated Bathrooms, Wrought-Iron Spindle Staircase, Doors and Handles, Hardwood And Oversized Modern Tile Flooring, Asphalt Driveway And Poured Concrete Curbs And Walkway. Large Master Bedroom With Updated 3 Pc En-suite. Large Backyard Deck With Walk-out From Kitchen, Gas Fireplace With Quartz Surround, Crown Moulding, Upgraded Baseboards, Stainless Steel Appliances, New Garage Door and Opener 2014, Water Softener 2016 and Unfinished Basement Awaiting Your Finishing Touch. Detached 3 Bedroom Home In Orangeville With New Shingles 2016 & Fully Fenced Rear Yard With Mature Trees Close To All Amenities. Eat-In Kitchen With Walkout To Large Rear Deck With Awning, Combination Living And Dining Room, Family Room With Gas Fireplace. Master With Walk-In Closet And 4 Pc Ensuite, Attached 1.5 Car Garage. Partly Finished Basement, Hardwood Floors, Laminate Floors, Crown Moulding, Perennial Gardens, New Garage 3 Years New And Much More! Simply Remarkable 1+1 Bedroom Solidly Built Bungalow With Walk-Out Finished Lower Level And Granite Counter Eat-In Kitchen With Stainless Steel Appliances In The Prestigious Active Adult Lifestyle Community of Briar Hill , With Resort Style Amenities At The Adjacent Nottawasaga Inn. Master Bedroom With Walk-In Closet And 4 Pc Ensuite Bathroom, Open Concept Living Spaces And Walk-Out To Beautiful Deck With View and Lower Covered Patio Space. 2 Gas Fireplaces, Cathedral Ceilings, Kenmore Gas Stove With Electric Oven, Hardwood Floors, Pantry, Cold Cellar, Gas BBQ Hook up, Oversized Baseboards, Recessed Halogen Lighting And Water Softner. Semi-Detached 4 Bedroom Home Backing On To A Park With Fully Fenced Large Backyard Filled With Stunning Mature Gardens and Trees As Well As A Side Entrance Leading To Partly Finished Basement Providing Future In-Law Suite Potential. Professionally Painted, Refinished Hardwood Floors, Bright Kitchen With Charming Painted Cabinetry & New Flooring, Updated Baseboards, Combination Living And Dining Room W/Bay Window And Walk-Out To Rear Patio. Master His N Her Closets, Flagstone Front Step, Vegetable Gardens, Large Garden Shed For Storage, Updated Lighting, Water Softener, Reverse Osmosis And Central Air Conditioning. Beautiful 4 Bedroom Home On Fully Fenced Corner Lot With Eat-In Granite Counter Kitchen, Stainless Steel Appliances, 2nd Floor Laundry & Partly Finished Basement Close To All Amenities And Mt. Pleasant GO Station. Master With Walk-In His And Her Closets And 4 Pc Ensuite Bathroom With Separate Shower And Corner Soaker Tub. Gas Fireplace, Hardwood Floors, Ceramic Floors, Double Door Front Entry, Covered Front Porch, Attached 2 Car Garage, Walking Distance To Park, Garden Shed, CAC, Mud Room, Plenty Of Windows Providing Abundance Of Natural Light, Parking for 4 Vehicles In Driveway and Much More! 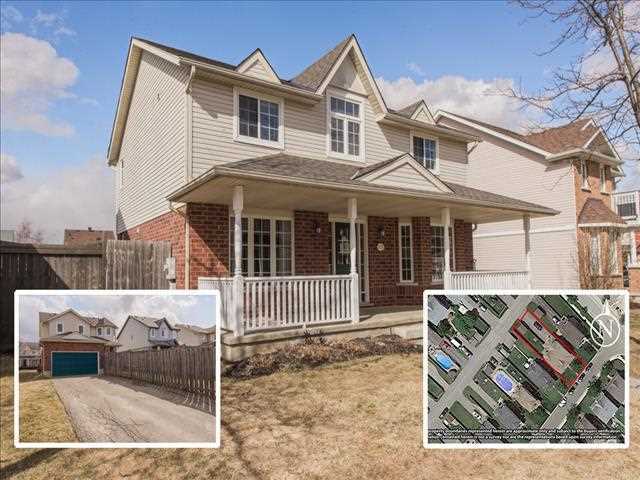 Remarkable “The Plateau” Model 3 Bedroom Bungaloft Built in 2015 In the New Highland Ridge Of Orangeville Neighbourhood On a Peaceful Court With High End Finishes And Walk-Out Basement Close To All Amenities. Open Concept Home With Large Granite Counter Eat-In Kitchen, Kitchen-Aid Stainless Steel Appliances Including 5 Burner Gas Stove, Abundance Of Rich Extended Cabinetry With Upgraded Hardware, Pantry & Under Cabinet Lighting And Open To Family Room With Vaulted Ceiling, Gas Fireplace And A Walk-Out To Future Deck With California Shutters And Dark Oak Flooring that Carries On Through Most of the Home. 2 Bedrooms On Main Level, Master Bedroom With Sitting Area, Large Walk-In Closet And 5 Pc Ensuite With Soaker Tub, Dual Vanity And Walk-In Shower. Grand Staircase Leads To Loft With Overlook to Living Room & Sitting Room Has Overlook To Kitchen & Family Room. 1 Bedroom With Double Door Closets And 4 Pc Bathroom With Upgraded Vanity On Loft Level. Basement Awaiting Your Finishing Touches With Partly Finished Room, Rough In 3 Pc Washroom, Cold Cellar And Oversized Walk-Out To Backyard Lets In Ample Natural Light.